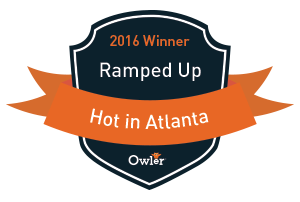 RampedUp is proud to be names one of Owler’s Hot in Atlanta companies for 2016. A distinction shared with 63 other bright and active companies such as Salesloft, UPS, and MailChimp. About RampedUp: RampedUp.io helps busy sales people by giving them with contact, company, and customer intelligence all in one place. Fast, Accurate, Insightful, the RampedUp.io salesforce.com plug-in will help your sellers win more deals.